Thank you, Mirek for accepting this rendez-vous. May I first ask you to introduce yourself by providing some personal background including when and why you got involved in vaping advocacy (if that's the right term to use). Miroslaw Dworniczak: I am an organic chemist. I worked for 25 years at the Adam Mickiewicz University, in Poznan, Poland. Right now I am a freelance science journalist. It's almost 10 years since my first contact with e-cigarettes - at first just from the scientific point of view. A friend of mine asked me to clarify some statements from the first report on e-cigs by Dr. Murray Laugesen. Together with just a bunch of people she started a forum on e-cigs, they found this report but as non-specialists, they were a bit confused while reading it. I explained them the data and the chemistry involved. This was the summer of 2009, and there were just a few hundred vapers here at that time. All the equipment and liquids were imported directly from China as there were almost no vape shops in Poland. 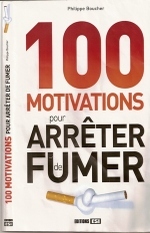 After reading the Laugesen report and searching for more information I started to think about my personal smoking habit. I come from a smokers' family - both my parents were smokers. At that time I was still a heavy smoker - 1.5-2 packs a day. Anyway, in October 2009 I decided to give it a try. I bought a simple kit (first generation), unpacked it, took the first puff. This was a marvelous experience! Rich, tasty cloud. And this was the start of my journey into the world of vaping. Since that day I didn't even take a single puff of a conventional cigarette (after 35 years of smoking, can you believe it?). I registered on the forum, my nickname there is Stary Chemik (Old Chemist in Polish). People had several questions concerning science, so I answered them patiently. But soon I got tired because I was answering almost the same questions for the nth time. So I decided to write a manual for e-cigarette users. Two months of hard work, personal money involved, 500 copies, self-published. 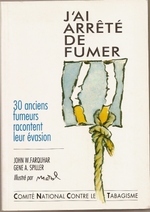 This was the very first book on e-cigarettes published in the world. I sold 500 copies it in less than two months. Between 2009 and 2013 there were 3 completely new editions of my book. They are not available any longer. The technology changed so much, they are now outdated. In 2010 I started blogging about e-cigarettes with my blog Stary Chemik (content translation provided by Wordpress) so after almost 9 years I think I can call myself a local vaping advocate. Just last year I won a grant from Knowledge Action Change and since July 2018 I started another web portal, directed at complete beginners. This portal is in Polish, but there is also a short manual in English. I plan to continue that in the future. Q1. I just watched the presentation you gave in June 2018 during the 6th Global Forum on Nicotine about Poland and the regulation of e-cigarettes (10 minutes video on YouTube). You say that when people tried to register a national vapers association their application was repeatedly denied. What is the situation now and can you explain how that's possible? Isn't that a violation of article 20 of the Universal Declaration of Human Rights about the freedom of association and article 22 of the International Covenant on Civil and Political Rights? Miroslaw Dworniczak: Well, the situation hasn't changed much and people trying to fight with the court are already quite tired. Unfortunately, most vapers don't think that such an association is necessary, so we don't have many people involved. The court does not openly say „no”, as this would really be a violation of the law you mentioned. The judge just has legal doubts about individual entries in the statute. When they are corrected, he finds several more. Q2. Can you tell us about the present legal framework for vaping products in Poland and the impact it had on small independent companies? Miroslaw Dworniczak: Poland is a member of the European Union, so the infamous Tobacco Products Directive had to be implemented. We were trying to persuade our members of parliament to do it without any additional restrictions. There were petitions sent to the Prime Minister, letters were sent to individual MEPs. I even managed to talk to the Deputy Minister of Health, to no avail. The law was passed. What's more, the law is stricter than in some other EU countries – online sales and cross-border purchasing were banned. As a result, almost all small companies were just wiped out of the market. Right now there are only a few big companies. A few years ago there was a big e-cigarette company, called CHIC Group - with over 800 shops and several thousand sales points (they had approx. 60% of the e-cig market - before the implementation of the Tobacco Directive). BAT acquired 100% shares of this company in 2015. Now called Esmoking World it's growing, making e-liquids and selling their own brands of e-cigarettes (most of them made in China but designed in Poland). The irony is that people living in small cities and villages can still buy regular cigarettes almost everywhere, but if they want to buy e-cigarettes or liquid, they have to travel to a distant town, sometimes even 50 km away. Q3. It was just announced that Poland maintains zero excise tax on vaping products. How is that consistent with the state's quite repressive and restrictive approach as far as sales and advertising are concerned? Miroslaw Dworniczak: You're absolutely right, this seems to be an inconsistency. But let me try to explain that it is only an apparent inconsistency. In a few months, we have elections coming – European Parliament elections on May 23-26, and sometime in Autumn – Polish parliamentary elections. As everybody knows vapers are voters, and we have roughly 2 million of them. An excise tax would make them very, very angry. I am pretty sure the government made a careful analysis, especially taking into account the situation in Italy, where heavy taxing resulted in very modest income. Thus they voted in December 2018 for the extension of zero excise tax until mid-2020. What will happen after that time is unknown. Q4. In 2016, you estimated there were 1.5 to 2 million vapers in Poland. What about now? Q5. I read about young polish tobacco control researchers being trained in the UK in institutions that very much support vaping as a harm reduction strategy. I think for instance about Aleksandra Herbek who just submitted her PH.D thesis at University College London with Robert West and Lion Shahab as supervisors. Have you seen any evolution in the way Polish health professionals consider vaping? and since I just realized I completely ignored snus, is snus completely absent in Poland? Miroslaw Dworniczak: All young researchers I know here come from the group of Prof. Andrzej Sobczak. He is very active in the field of harm reduction and he was able to gather a bunch of very good young specialists in the field of chemistry and pharmacy. We already have the very first man with PhD on the chemistry of e-cigarettes (Dr. Leon Kosmider, now working in the USA), several others are preparing their theses. As for the health authorities… sigh… both this and former Minister of Health turn a deaf ear to scientific arguments. Since 2012 we're providing them with the results of scientific research, PHE report etc. Their message is simple – e-cigarettes are evil. Period. Fortunately, a few well-known oncologists and other specialists changed their position on vaping. This is rather a very slow evolution, not revolution, but at least we have some hope. Just like in the old proverb: continual dripping wears away a stone. Snus? What is snus? 99.9% of people in Poland don't even know snus exists. It's banned in the EU (except for Sweden). Therefore I can say that snus status in Poland can be compared to regular drugs, like heroin, amphetamine etc. I know of some people using snus - they buy it while traveling to Sweden. cigarettes, weed, alcohol. And we shouldn't blame marketing – selling cigarettes, alcohol, liquids to minors is a crime. Still, someone sells them – and these people should be really blamed for this phenomenon - kids using e-cigarettes. Wiping out e-cigarettes from the market would be just throwing the baby with the bathwater. Most vapers would then go back to smoking – and this is really dangerous. I do really hope this will not happen. Thank you very much, Mirek for having taken the time for our rendez-vous. Ciekawy tekst, zrozumiały dla prawie wszystkich, prawie bo pewnie nie dla polityków....Pozdrawiam tak trzymać, palę e papierosy 7 lat. Good conversation, much of helpful informations. It sad that the mainstream media doesn't sharing this informations, and such a small group of peoples will read this conversation.